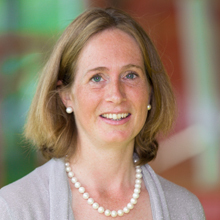 Rieke van der Graaf is a bioethicist and employed at the University Medical Center Utrecht at the Julius Center, Department of Medical Humanities. She has written a PhD thesis on ‘Ethical fundamentals in human subjects research. On equipoise and human dignity’ (2010). Her current research interests are global justice in international research, the integration of care and research, and the ethics of innovative research designs. She is teaching medical ethics at the UMC Utrecht and is a member of the UMC Utrecht’s Hospital Ethics Committee and the Research Ethics Committee (METC). She is the Secretary of the Working Group on the Revision of the CIOMS Guidelines.